The Sun transits your 4th House of family, residence, motherhood and issues from the past. Ownership, community and property issues will be prominent areas that are highlighted in some way or another throughout December, Virgo. You could sell your home, move into a new one or be dealing with repairs to your current residence this month. A strong emphasis revolves around celebrations, relatives and announcements. You will enjoy the lights and holiday decorations, gathering of friends and family and feel the positivity in the air throughout this social, outgoing and upbeat month, Virgo. Your attitude will be infectious (in a good way) and your influence is felt far and wide. A New Moon occurs in Sagittarius on 12/2. New Moons equal new offers. This is a date to circle on your calendar as news received should be something memorable and noteworthy. New Moons equal new offers, so it's entirely possible that news received comes out of left field (Uranus component) and involves overseas travel, higher education or a relative changing locations. This brings about optimism that sets the pace for your month ahead (Sagittarius component). Mercury, your ruling planet (communication skills, logic and reasoning), begins the month in Scorpio, your 3rd House and enters Sagittarius, your 4th House on 12/4. Mercury will be in Sagittarius, your 4th House of home, family, residence and relatives until 12/24. With the planet of communication in your 4th House of home and family, you express and present your best self when speaking on or about issues pertaining to family, relatives, motherhood or any other topics dealing with relatives. Real estate, relatives/siblings, your current home and your personal environment will be sectors especially meaningful to you but more importantly areas in which you can achieve what you desire via self expression, travel, short trips and the power of the spoken word. A Sagittarius will play a special role in some aspect of your home life. Expect this individual to show you his or her tender side throughout the month, Virgo! Venus (love, harmony and romance) begins the month in Capricorn. Capricorn is your 5th House of fun, creativity and taking risks, Virgo. With Venus in Capricorn you can expect more love and positive interactions with children. Your creative projects gain serious momentum and you notice that your charm is appealing to others, single or coupled. This is one of the best times for you in terms of love, so take full advantage of it, Virgo. These favored properties light up as invitations pour in, love looks brighter and you gain praise and admiration from both potential and existing loves with virtually no effort on your part. Since Capricorn is a practical and hardworking sign, you note this transit assists in bringing out your dedication, practicality, common sense and stubbornness (Capricorn component), Virgo. Children, romance and creative ventures will be areas that bring about smiles, appreciation and greater fulfillment. Single Virgos could meet someone special this month, possibly from out of state or even someone locally. Single or taken, expect the public to be attracted to you throughout this transit. Caution Virgo: Venus will turn retrograde on 12/21 - 1/31/14. During this time, a romance could suddenly appear to slow down and you could experience some delays in a creative project or where your children (or those children of someone close to you) are involved. This is not a good time to make a serious commitment, if you're single. Couples could feel the retrograde but will be able to navigate through the rough patches. Take advantage of the first three weeks of December and on 12/21, take some time to reflect on where you want to be and with whom, come 2014. In other words, if you're happy and you know it, you have nothing to be concerned about. If however, you're harboring any doubts, this Venus retrograde will point out the flaws and reveal certain truths about a romantic interest that will be not so appealing or interesting. Mars (motivation, sexuality and physical energy) begins the month in Scorpio. This planet enters Sagittarius on 12/7. Sagittarius is your 4th House and can create a strong motivation where home life, relatives, endings and the past are involved. You will want to take a break from your career this month and spend your free time at home. Home is where you tend to be most motivated. Relatives, your residence, issues past and the topic of motherhood will be areas that pique your interest and attention. A Full Moon occurs in Gemini on 12/17. Gemini is your 10th House of prestige, status and public persona. This Full Moon brings certain professional matters to a close. 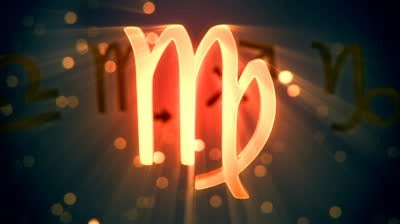 Hard work will pay off on this date and will give you some free time to spend with those you cherish most, Virgo. A Taurus, Cancer and an Aquarius will be involved. A Cancer has news to share with you this month, Virgo. This relationship will begin fast and stay that way. Cancer and Virgo are compatible and an ongoing attraction could lead to a long term friendship. A Taurus could be a romantic interest or good friend. This individual will be inspiring and someone you can confide in. An Aquarius is ready, willing and able to come together and loves the idea of being in your company. Expect to have more than one offer for romance this month, single or coupled.